The 2018 NFL regular season is now in its final month, which means the MVP race is heating up. Entering Week 14, here’s a look at the top seven candidates in the race for the most illustrious individual award in professional football. 1. New Orleans Saints QB Drew Brees (last week: 1): The league’s highest-rated passer is hanging on by a tiny thread following a rough performance in a Week 13 loss to the Dallas Cowboys. 2. Los Angeles Chargers QB Philip Rivers (last week: 2): The 15th-year vet was again nearly perfect Sunday night in Pittsburgh as he continues to put together a career year. He ranks in the top five in pretty much every key statistical category for a team that is 9-3, and he’s had less support than most of the other guys on this list. 3. Kansas City Chiefs QB Patrick Mahomes (last week: 6): A four-touchdown performance in a victory over Oakland puts the second-year No. 10 overall pick on pace for a 54-touchdown season, which is one shy of Peyton Manning’s single-season record. He also leads all current starters with a 9.1 yards-per-attempt average for a team that is 10-2. 4. 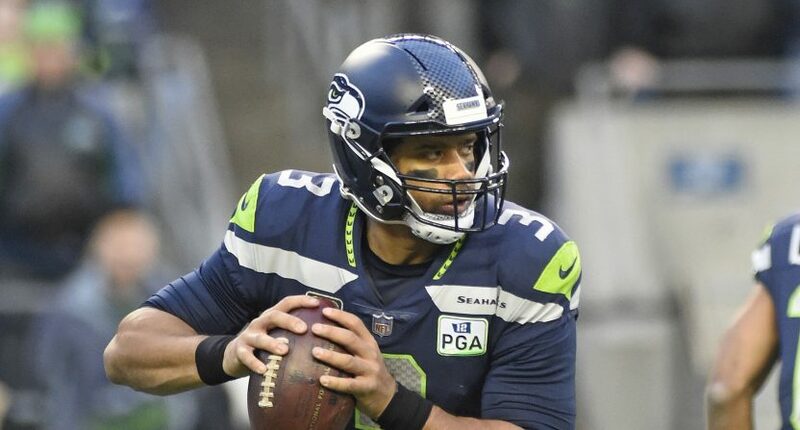 Seattle Seahawks QB Russell Wilson (last week: 8): In his last four games, the 30-year-old has a 130.1 passer rating, and he hasn’t thrown an interception since Nov. 4. He’s the primary reason Seattle’s actually in contention right now. 5. Los Angeles Rams DT Aaron Donald (last week: 4): Donald is the league’s most valuable non-quarterback by a comically large margin. The man is on pace for 22 sacks despite rushing the interior and stopping the run, and most of his big plays come in crucial moments. He’s gonna go down as one of the greatest defensive players in league history. 6. Los Angeles Rams QB Jared Goff (last week: 3): The quarterback for the league’s only 11-1 team has Rivers-level numbers, but Donald might still some votes from him. 7. Los Angeles Rams RB Todd Gurley (last week: 5): The NFL’s leader in scrimmage yards and touchdowns is also likely to lose votes to his MVP candidate teammates.